O St Hedwig, in this world you rejected the honours of the Court, its pomp, luxury and pleasures, and went to be with the poor to help them in the destitution and misery of life. There in Heaven, cast a kind look on us poor mortals, and obtain for us the grace (mention your request) and that of living in the peace and friendship of God. Amen. 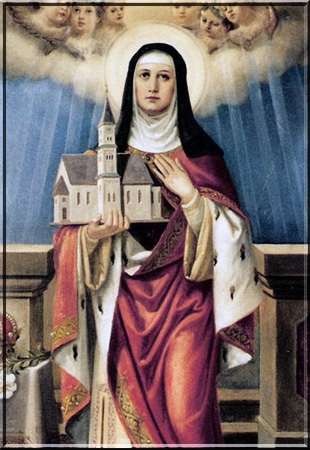 V. Pray for us, St Hedwig!